On new foliage of Goodding's Willow at Sycamore Creek, Maricopa Co., Arizona, USA. 16 June 2013. Now that very powerful macrophotography is affordable and easily learned the popularity of some insect groups has grown. 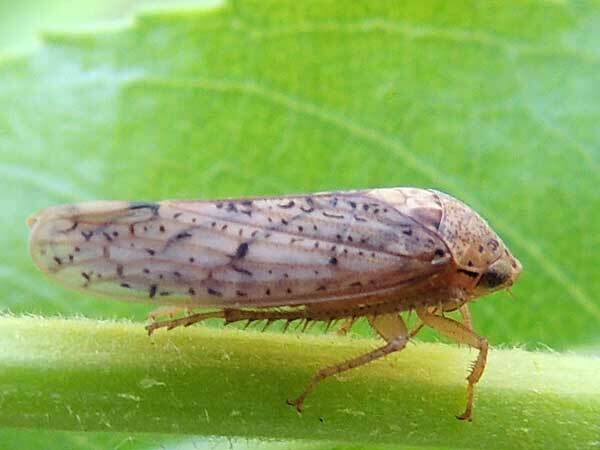 Leafhoppers are mostly very small, less than 5mm in length. Many display a rainbow of colors and morphologes that are designed to slice through viscous air at high excellerations. This gives them the appearance of race cars or jet aircraft painted to advertize ability. The big eyes are designed to spot trouble - like an approaching bird's beak - and the hind legs are always ready to jettison the bug through the air. All are plant feeders, taking sap through piercing-sucking mouthparts.